DOST (Degree Online Services, Telangana) welcomes you to join in Undergraduate Courses, 2018-19 in Telangana. The only Gateway to Degree Courses (BA/B.Com./B.Sc. etc.) in the State of Telangana is DOST. 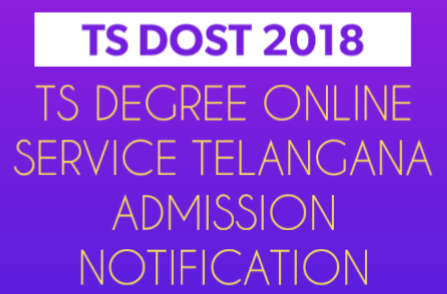 Telangana Govt will issue notification for Degree Online Admissions 2018-19 on 08-05-2018 and registrations started from 10-05-2018. DOST is a friendly and effortless way to apply for undergraduate courses. DOST helps you in choosing your favourite undergraduate course with all the information you wish to have. DOST minimizes your efforts and maximises your choices to opt for an undergraduate course. Verify your Aadhaar number seeded/linked with your mobile number through the link https://resident.uidai.gov.in/aadhaarverification, well in advance. Link your mobile number with your Aadhaar number, name, gender and date of birth as per SSC/Intermediate Certificate, well in advance. Ex- service Men Certificates, if applicable These certificates should be kept ready. 1. Your Intermediate Hall Ticket Number. 2. Your AADHAR Card Number. 3. Credit Card / Debit Card / Net Banking facility to pay your admission fee. 4. Your recent passport size photo. (Scanned photo not more than 100 Kb.). 5. You need a valid mobile number. 6. Your Caste Certificate Number issued by MEESEVA (If applying under any reservation). 7. Your Income Certificate Number issued by MEESEVA on or after 1st April 2018. (Required if scholarships are claimed). 8. Sports, NCC, NSS, CAP and PH scanned certificate copies in case of availing admission under special category. 1. 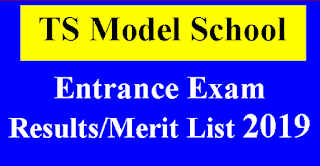 Your qualifying (10+2 Level) examination Hall ticket Number. 6. Your Caste Certificate (If applying under any reservation). 7. Your Income Certificate (Required if scholarships are claimed). You need to fill in the "Student Details Form" only once.You have to pay Rs.100 for seeking admission for all the six universities.You may apply for unlimited number of colleges within a university.You may apply for more than one combination within the permitted undergraduate programme. 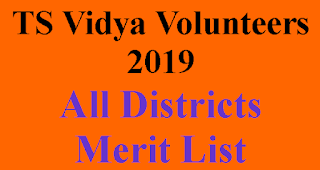 All the students, who applied under special category ie., NCC, NSS, Sports, CAP should get their certificates verified at helpline centres of the respective Universities. Dates will be informed in advance for each special category. Officers of concerned departments will be available for verification of the special category certificates. You will find the home page with the six university logos and various instructions, information of Colleges, Courses etc. Thoroughly read all the instructions on the home page such as Check List, Student Instructions and browse the Colleges and Course list . Click on "Register" button for registration process.UG Online Admission Payment Form will appear. Please fill in the Student Details in the form. After filling the UG Online Admission Payment Form click on Proceed to Payment button. Payment gateway page will appear. Pay your online application fee using your Credit Card / Debit Card / Net Banking facility. If payment is successful you will see a message which looks like below.
" Your payment was Successfull for Rs.200/- on DD/MM/2018...Your Transaction Id is XXXXXXXXXX and Acknowledgment no. for your Application is: XXXXXXXXXXXX"
Please write down your application number. Also you will receive SMS with your application no. to your registered mobile no. Click on the application button next to home,the UG Online Admission Form FOR ACADEMIC YEAR : 2018-19 will appear. For students of Board of Intermediate Education, Telangana , some of your information will be auto filled by the software and you complete the remaining information. For students who belong to the boards other than Board of Intermediate Education, Telangana all the details must be entered by the student. Please enter equivalent percentage of CGPA accurately. After furnishing all the details, click on the Preview button. Verify your Details once again and Press "SUBMIT" button to submit UG Online Admission Form. DOST Online Admission Registration Payments Status and Web Options page will appear.To Excerise Web Options click on "Click for Web Options" link. To Exit click on LOGOUT. Who have secured a seat ,reported and aspiring for a better option. Who have reported/Not reported in the Phase-I allotted seat. Candidates who have registered afresh both regular and advanced supplementary passed outs. Options given in the Phase-I may be changed by the candidate if desired. Candidates have to exercise options afresh for seat allotment in Phase-II other wise the previous web optins will be valid. as the vacated seat is allotted to next meritorious candidate. Hence students are cautioned to exercise only better options than allotted seat.